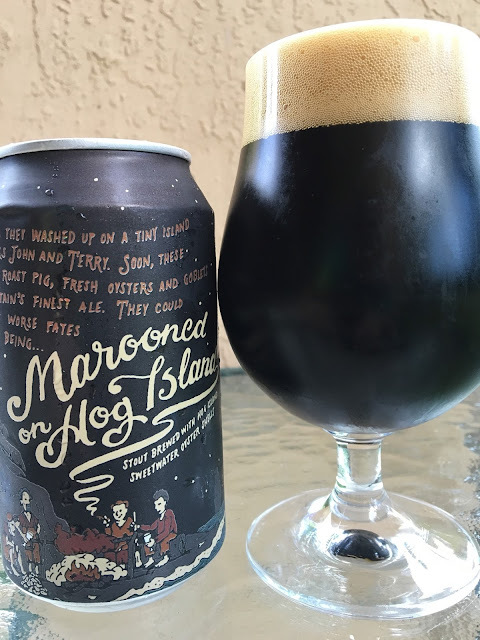 Marooned on Hog Island? 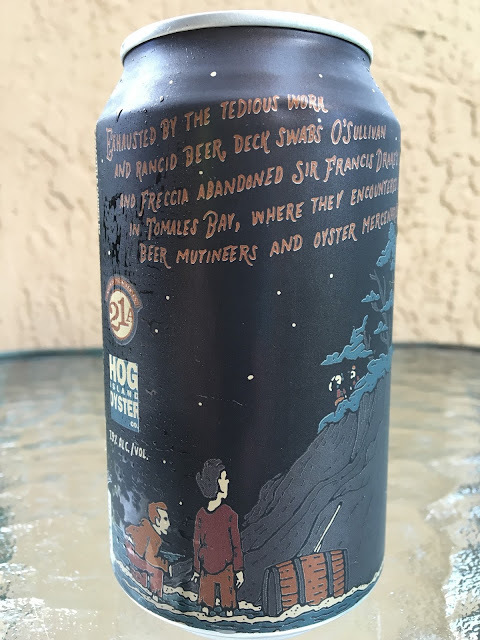 What the heck is this beer from 21st Amendment Brewery? Well, this beer is a stout brewed with Hog Island sweetwater oyster shells, brewed in collaboration with Hog Island Oyster Company. 7.9% alcohol. 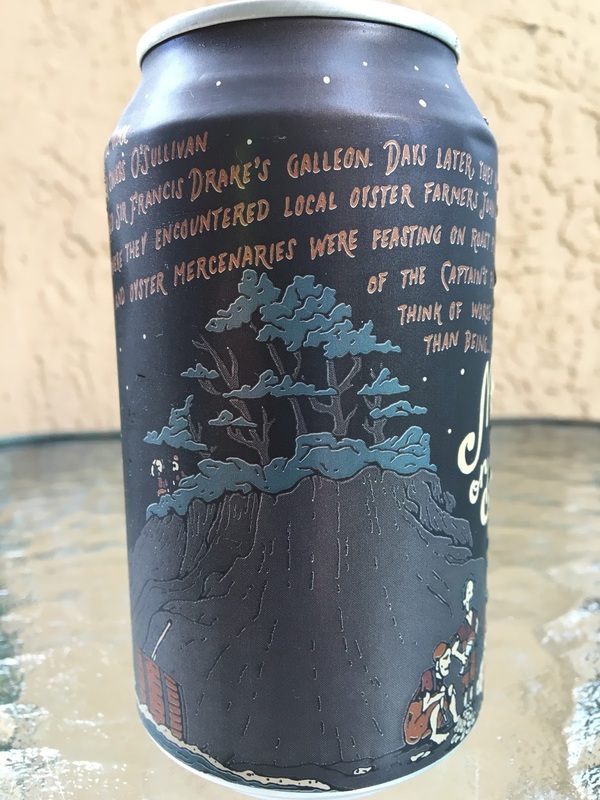 Canned On 08/11/16. Exhausted by the tedious work and rancid beer, deck swabs O’Sullivan and Freccia abandoned Sir Francis Drake’s Galleon. Days later, they washed up on a tiny island in Tomales Bay, where they encountered local oyster farmers John and Terry. Soon, these beer mutineers and oyster mercenaries were feasting on roast pig, fresh oysters and goblets of the captain’s finest ale. 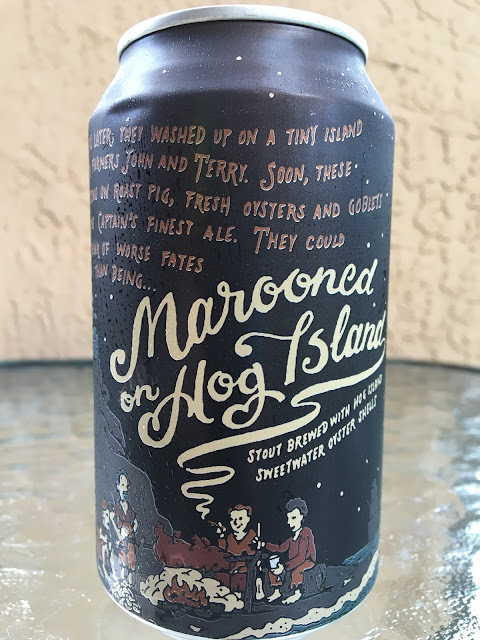 They could think of worse fates than being MAROONED ON HOG ISLAND. Nice choco-cocoa aroma with a hint of caramel showing through. Chocolate and cocoa flavors also come first with some definite salinity adding some interest. Nicely sweet, a little chalky, touch of caramel and raisins. Super smooth texture, a great asset. Some hoppy balance adds the perfect amount of bitterness. And the oyster shells add some salty interest, perfectly done, not annoying whatsoever. Very good, totally wowed. I honestly wasn't expecting this to be such a winner! Grab some now.